Article 1, section 8 of the United States Constitution authorizes Congress to enact “uniform Laws on the subject of Bankruptcies…. “Under that authority, Congress enacted the Bankruptcy Code of 1978 and its subsequent amendments. 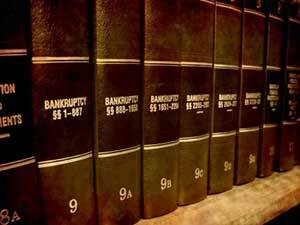 The Bankruptcy Code sets out the uniform bankruptcy statutes covering all bankruptcies in the United States. The primary goal of the bankruptcy laws is to give honest debtors a fresh start through discharge of their debts. Filing bankruptcy has immediate appeal for struggling debtors, but it has serious ramifications. The discharge of debts has legal significance and provides permanent protection against collections on the debts discharged. Also, upon filing for bankruptcy relief, most collection efforts by creditors against you must cease under the Bankruptcy Code’s automatic stay. However, your ability to use or otherwise transfer assets is restricted. Furthermore, certain pre-filing transfers may be voided by the Bankruptcy Court. If you are contemplating filing for bankruptcy relief, you should consult an experienced bankruptcy attorney before you file. You need to carefully consider the legal implications of bankruptcy and your responsibilities as a bankruptcy debtor. An experienced bankruptcy attorney can help you decide if bankruptcy is right for you, help you avoid pitfalls, and assist you in developing the best debt relief strategy for your circumstances. Several types of bankruptcy are available to provide debt relief under the Bankruptcy Code. This article reviews and compares two of them: Chapter 7 Liquidation and Chapter 11 Reorganization. Individual debtors, partnerships, and corporations are eligible to file for bankruptcy relief under chapter 7. In chapter 7 cases, the court will appoint a trustee to manage the debtor’s bankruptcy estate. The bankruptcy estate includes the non-exempt assets of the debtor. In the chapter 7 liquidation process, the trustee will sell any assets that have value for cash, verify the validity of creditor’s claims, and distribute the sale proceeds to creditors in the order required under the Bankruptcy Code. In reality, most debtors who file for chapter 7 do not have non-exempt assets of value for liquidation and distribution to their creditors. Chapter 7 debtors also lack sufficient income to make any payments to creditors. (Individual debtors who have earnings sufficient to make payments to their creditors will usually have to file for relief under chapter 13, also referred to as a consumer reorganization). Any property owned by chapter 7 debtors is usually encumbered by liens or is exempt under federal or state bankruptcy exemptions, leaving nothing of value to pay creditors. Chapter 7 debtors will usually receive a discharge of most of their debts within a few months of filing for bankruptcy relief. Once discharged, the debts are forgiven and creditors can never again attempt to collect them from the discharged debtor. However, there are some debts which are not dischargeable such as most tax debts and domestic support obligations. Furthermore, only individuals receive a discharge under chapter 7. Partnerships and corporations cease to exist after their assets are liquidated and do not need a discharge. Chapter 11 bankruptcy is usually used to reorganize a failing business, though it is also occasionally used to liquidate a complex business or to reorganize a complex individual estate of a high income earner with high value assets. As such, the chapter 11 process is more complicated than a chapter 7 liquidation and often involves assets that have some value for the payment of creditors. Typically, debtors use chapter 11 to reorganize a business. In a chapter 11 reorganization, a chapter 11 trustee who works for the Department of Justice is appointed to oversee the case. The business debtor will continue its business operations as a debtor in possession. The debtor must propose a plan of reorganization that shows how the debtor intends to reorganize its business and pay outstanding debts. The reorganization plan may also terminate certain burdensome business contracts like leases. The creditors will have an opportunity to negotiate the terms of the plan with the debtor. The creditors will be able to vote for or against the reorganization plan prior to the court’s consideration of the plan. Assuming the plan receives the requisite votes and meets the other requirements set forth in the Bankruptcy Code, the court will approve the plan. The debtor must then make payments and perform its obligations under the confirmed plan. Consider first your debt profile. Are you an individual with debts consisting of house payments, car payments and credit card debts? If so, are you a wage-earner who can afford to make some sort of house payments and/or car payments, and thus eligible for chapter 13 individual reorganization? If not, you are going to file chapter 7. Do you have any assets that can be sold to pay your creditors? Any attempt to hide assets from the court constitutes the crime of bankruptcy fraud. If you transfer assets to someone else, such as a family member, within two years prior to filing bankruptcy, it will have to be returned to your bankruptcy estate. Furthermore, you will most likely lose your discharge. Do you have a business that you think you can continue to operate? If not, you can liquidate your business by putting it either in chapter 7 or, if your business is more complex, in chapter 11. Chapter 7 liquidations are less costly and usually move more quickly than chapter 11 liquidations. If your business is a sole proprietorship, you will have to file for bankruptcy relief under your own name to liquidate your business, whether you file in chapter 7 or chapter 11. A sole proprietorship is not an entity that is separate from the individual owner. Be aware that some of the value of your business tools and equipment may be protected from the reach of your creditors under your state’s bankruptcy exemption laws. Bankruptcy exemptions are only available to individual debtors, not to business entities. Bankruptcy exemptions vary from state to state, and an experienced bankruptcy attorney can advise you how they apply to your situation. If you have a business that is in the form of a partnership or a corporation, you can liquidate it through either chapter 7 or chapter 11. They are separate entities from the individuals who own them. These businesses must be placed into bankruptcy separately from their principals or individual partners. Your bankruptcy attorney can help you determine whether you should file bankruptcy individually and simultaneously with your business. Such a strategy must consider your unique circumstances. If you have a business that you want to try to continue to operate, your company or partnership will need to file for a chapter 11 reorganization. In the first 120 days after filing for relief, only the debtor can file a plan. 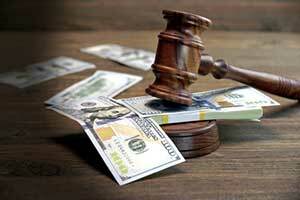 Savvy debtors will try to work with their creditors to negotiate a plan before filing the case. This strategy can buy the debtor more time to work out a plan and reduce the likelihood of disputes with creditors in the bankruptcy court. Your goal in reorganization is to have plan confirmed that lowers your debt load. In deciding whether your business can successfully reorganize, you will need to consider how you will meet the financial requirements of the business; access to additional capital that can be infused into the company; downsize your operation; collect a large account receivable; or reduce your debt by terminating a burdensome lease or other contract. You also need to be aware that in a chapter 11 reorganization, no operating trustee is appointed. The debtor becomes the “debtor-in-possession” and has significant trustee-like responsibilities during the pendency of the case, in addition to managing the business operations of the debtor. Before seeking this relief, your bankruptcy attorney should help you understand all of the legal obligations your business will incur in this process. You will have to pay for your legal counsel and the filing fees of the court. Basic court fees for a chapter 7 filing are $335, and for a chapter 11 they are $1,717, unless you are able to get them waived. This fee schedule shows that the cost of a chapter 7 case is significantly less than a chapter 11 case. For more information about the court’s fees that you or your estate should expect to pay, see the court’s fee schedule. Filing bankruptcy is a significant step, and the process is not an easy one. Mistakes can put you and your rights in legal jeopardy. A knowledgeable bankruptcy attorney can help you do the appropriate planning necessary to protect your assets and give you relief from burdensome debts. You can find an excellent, comprehensive explanation of the Bankruptcy Code and what you can expect in the bankruptcy process at the Bankruptcy Basics website maintained by the Administrative Conference of the United States Courts.